Many adventurers are attracted to the highlights of camping in the winter. You get to enjoy nature without dealing with masses of people. Plus, there are fewer bugs. The one downside of winter camping is the cold weather. 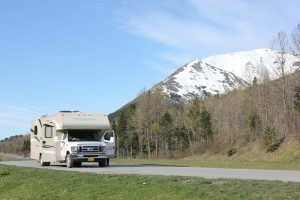 This is why renting an RV is a great option for winter camping. 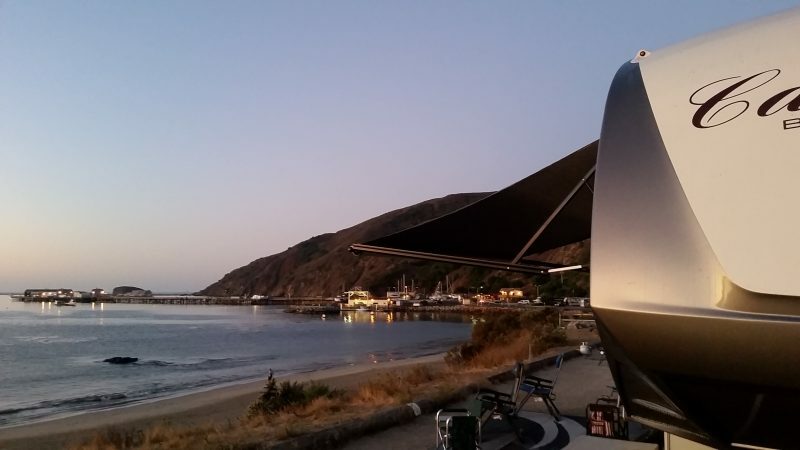 RVs allow you to enjoy the outdoors during the day while having a warm bed to sleep in at night. Most RVs offer amenities such as a bedroom, a kitchen, and central heating that will keep you comfortable, even in cold temperatures. 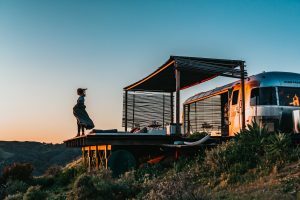 Our delivered RV rental service provides you with the convenience of having your RV set up for you in your location of choice, creating a hassle-free vacation experience. 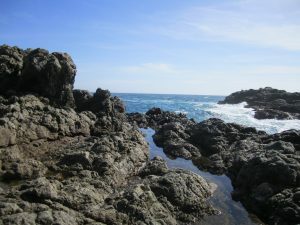 First and foremost, make certain to check the temperature and weather conditions before embarking on your trip. Knowing what to expect will allow you to properly prepare and will prevent you from putting yourself in a potentially dangerous situation. No one wants to get blindsided by extreme temperatures or storms. Once you know what conditions are typical for where you’re staying, you can create an emergency plan in the case that extreme weather does hit while you are camping. Where you set up camp makes all the difference. Steer clear of large bodies of water, which will cause the air to feel colder. Ideally, you want to set up your RV in an area that is dry and protected from the elements. If you are someone who tends to get extra cold, this trick is a great way to warm up your bed and help prevent you from getting cold during the night. Fill up a reusable water bottle with hot water and put it in your bed when you are going to sleep. The water bottle will stay hot for several hours, keeping you comfortable and warm. 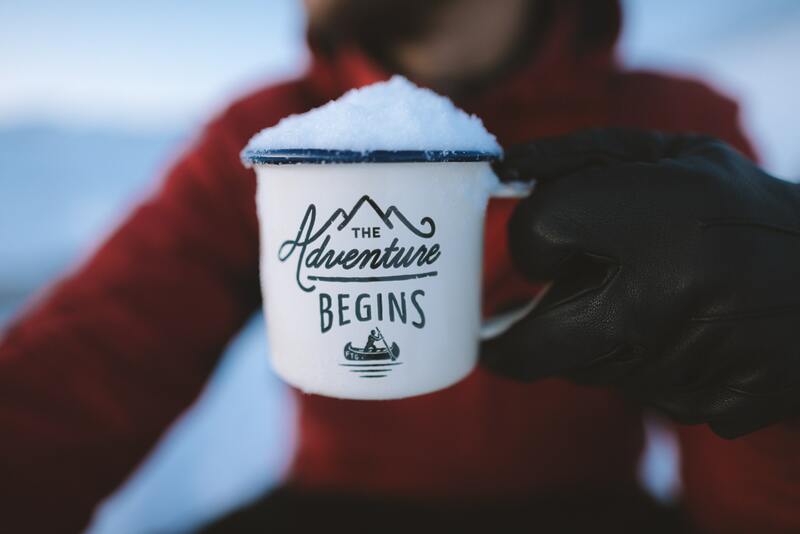 While the RV will keep you sheltered from the weather when you’re inside, if you’re spending the daytime adventuring outdoors, it is important to layer up to stay warm. Thick socks and gloves are essential for protecting your extremities, as well as a hat to keep your head warm. Choosing the right fabrics is also a huge part of dressing appropriately for the cold. Cotton retains moisture, causing your body temperature to drop. Fabrics that are designed to wick moisture away, such as many synthetic fabrics, make it easier for your body to maintain a comfortable temperature. Wool is also a great option for keeping warm. Your body needs fuel. Eating high-density food will keep your metabolism up and help regulate your body temperature. 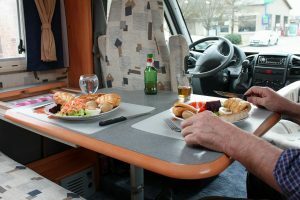 This is where access a full kitchen makes an RV such an attractive choice for your winter vacation. Make sure to have snacks and easy to prepare meals on hand for when hunger strikes. Did you know that your body has to use up extra energy in order to keep the liquid in your bladder warm? If you wake up in the middle of the night needing to use the bathroom, make sure to so. This way, your body has to do a little less work in order to keep warm. The beauty of the RV is that it offers you a warm and comfortable place to sleep. However, if you are planning on sleeping outdoors at all, you’ll want to make sure to purchase a tent and an insulated sleeping bag that is specifically designed for cold temperatures. You’ll also want to get a closed-cell foam sleeping pad. No matter how insulated your sleeping bag is, sleeping on the cold ground is not comfortable. The pad offers an extra layer of warmth between you and the cold earth. For even more protection, you can use two pads, or fold up clothes and put them underneath your pad. Additionally, women might want to consider purchasing a bag that is specifically designed for women. These bags are designed to fit to a women’s body, eliminating pockets of air in the bag. They have extra insulation at the feet and upper body to keep you as warm as possible. “Glamping” in an RV is one of the best ways to have a fun and safe winter vacation. Not only can cold temperatures feel extremely uncomfortable, exposing yourself to the elements can cause your body temperature to drop to unsafe levels, which can have serious consequences. Having your warm RV to return to when the temperature gets too low helps reduce this risk. 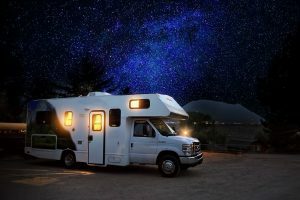 Overall, the benefits of staying in an RV make this an excellent choice for camping in the cold.